This post is sponsored by buybuy BABY. All opinions and photos are my own. Hi. 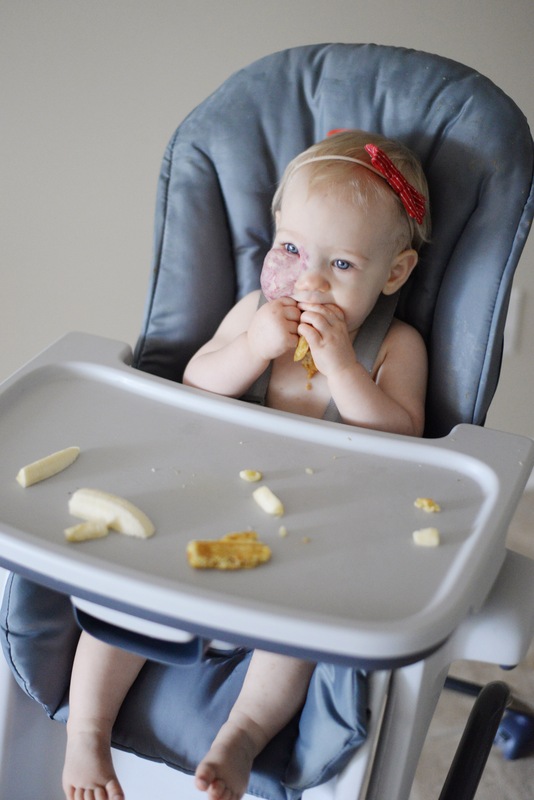 I’m Katie and I’m a Baby Led Weaning Beginner. This post is for you AND me. I’m learning as I go. If you are a BLW expert, you should skip this post. 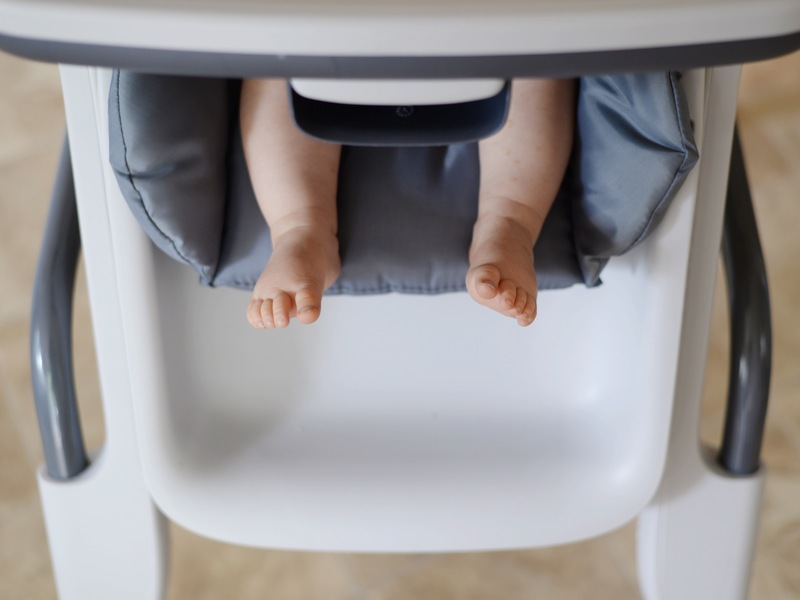 I’m going to simplify the concept of Baby Led Weaning and share my favorite high chair with you.When Charlie turned six months old, I panicked. I was like- oh gosh- it’s eating time. She has to eat now. Real food. But someone said something about purees being a thing of the past. There’s some trend now called Baby Led Weaning. What does that even mean? It seems weird and I am scared she would choke. What do they mean, “wean”? Do I have to even do this yet? Helllllllllp. Calm down everyone, let me break it down for you so that you don’t have to go to ten different websites like I did trying to figure it out! Baby Led Weaning essentially just means “self feeding”. The term “wean” in BLW is actually based on the British use of the word which means “to begin to complement diet with solid food”. (In the American sense, weaning means to give up breastfeeding.) The theory behind it, is letting go of the obsession with how much solid food they are eating and controlling the way WE feed them. 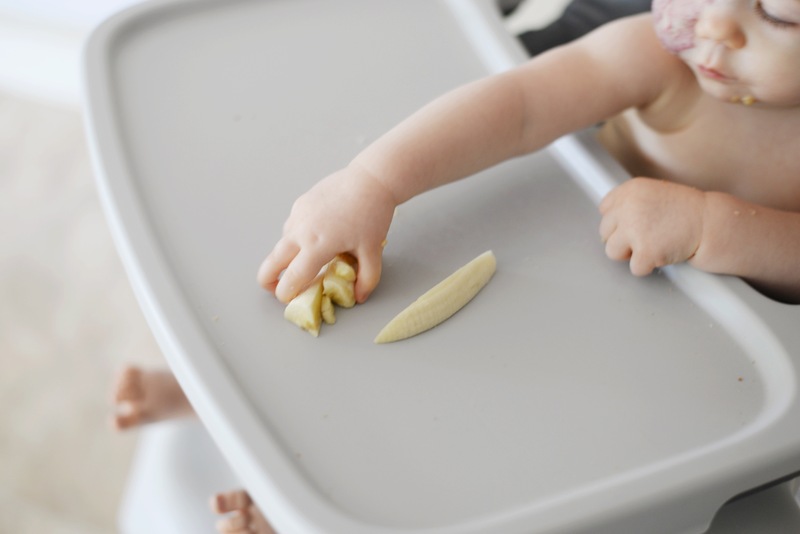 With Baby Led Weaning, you can cut food up into “sticks” and let baby self feed. They can control the amount they want, and as opposed to only eating purees, they learn to chew instead of just swallow. There are some more awesome tips and information gems here. You should never put the food in baby’s mouth for him. He needs to learn how to control his bites and he will naturally push it forward if it is too much. We have been doing a combination of purees and BLW since Charlie showed interest in solids, which was at about 8 months old. 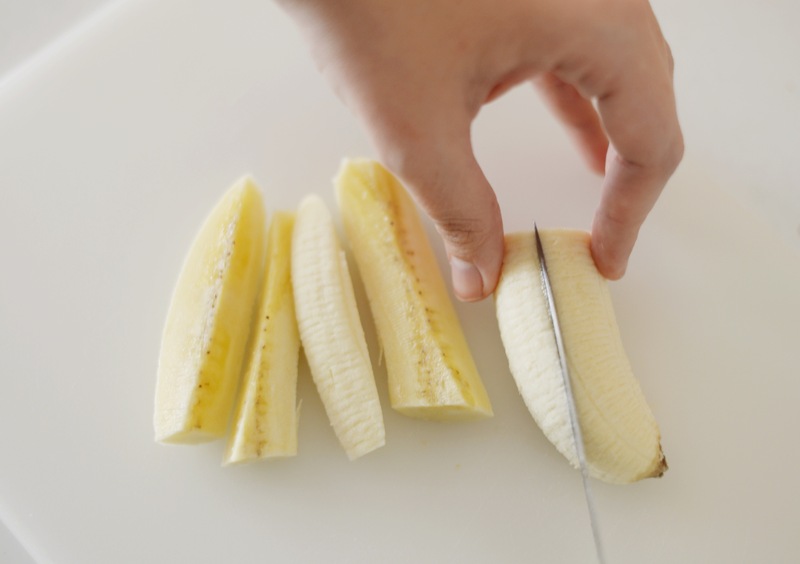 Remember, there is NO pressure to force your baby into eating solids if they aren’t ready! Nutritionally, “food before one is just for fun”! They are learning skills and developing tastes for new things. Don’t get stressed about it! 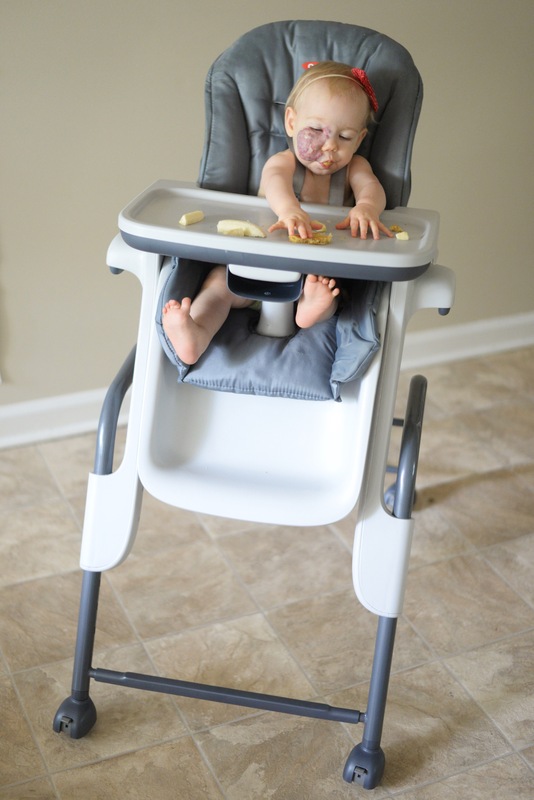 Helping us immensely with this journey is our OXO Tot® Seedling High Chair from buybuy BABY. I did some extensive research to figure out what highchair I wanted. When I say research, I mean reading hundreds of reviews from other Moms, because let’s be honest- they are the real experts. Across the board it seemed people were happy with the easy clean up, the versatility, and the simplicity of this high chair. It’s also in the mid-range of affordability without being too pricey. The height easily adjusts to have baby at table level, or higher up. The seat reclines for those babies that get sleepy after a meal, or want to comfortably self bottle feed. The top part of the tray comes off to be washed in the sink or dishwasher. There is no need to take the whole bulky tray to the sink! 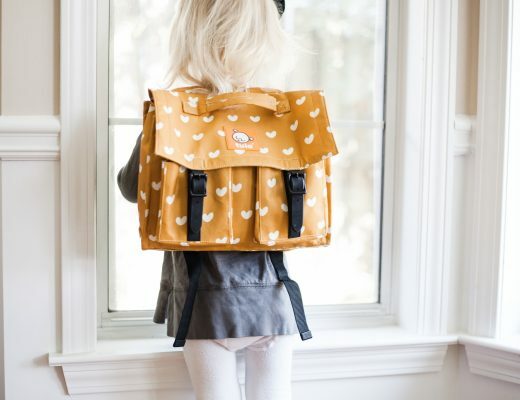 The fabric is very easy to clean and wipes down quickly. You will LOVE this high chair! There are so many amazing recipes out there. 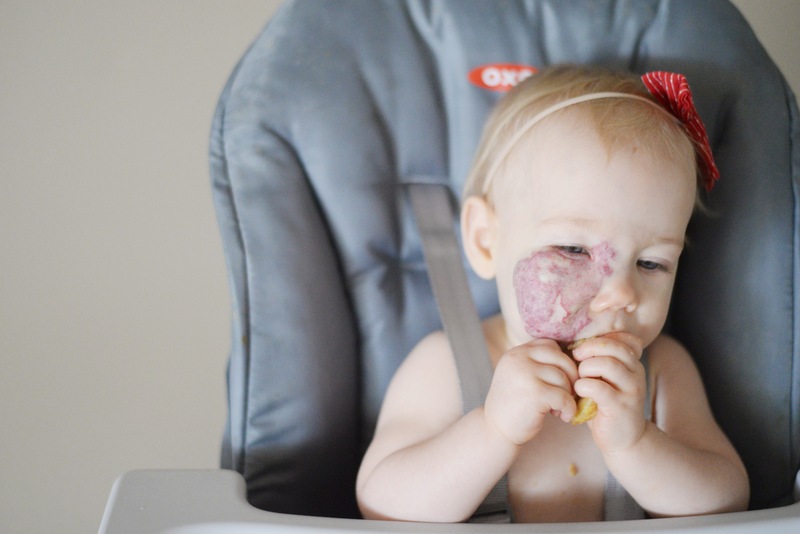 Just search “BLW Recipe” on Pinterest and you will be overwhelmed with options! There’s also a great Facebook group to bounce ideas of off other parents who are experimenting with BLW. 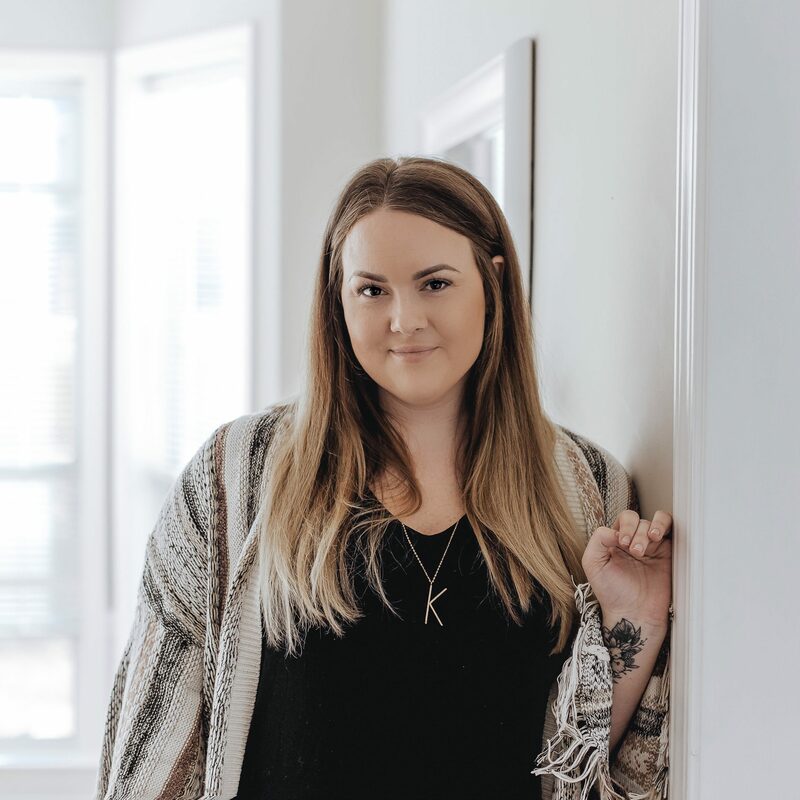 Have you tried BLW? What did you think? My son really fought solids and did until he was 3- it was awful! But I look at what he’ll eat now- I can’t think of much he’ll reject. We get so stressed out, but sometimes we are just making it harder than it needs to be! When I learned about BLW I was like, oh, duh that makes sense. I have an almost 6 month old and the idea of food is so overwhelming!! But this sounds like a good way to approach it!